3 opportunities to sing with Roxane at a series of weekend residential singing events in April and May 2019. Roxane has been running community choirs and a variety of singing groups since 1998. 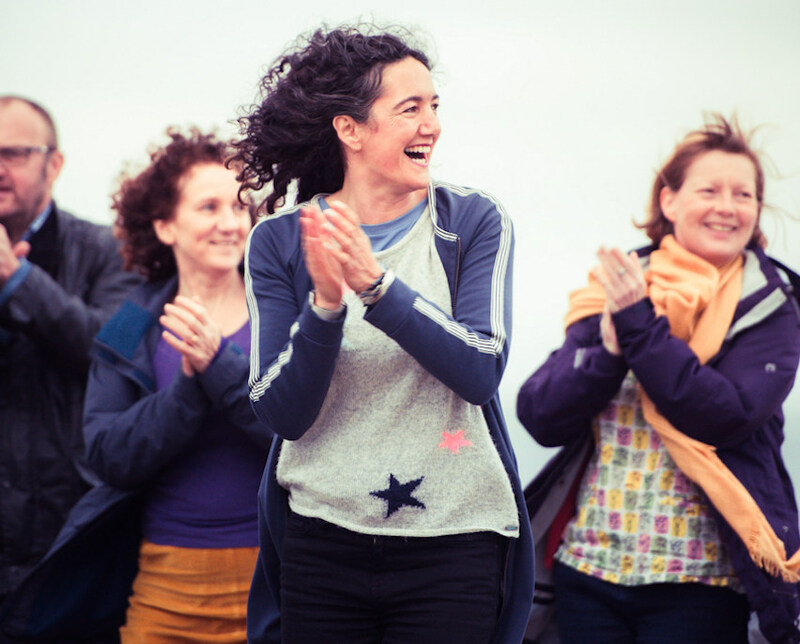 The nature or location of the group may vary from year to year, but the fundamental mission remains the same: to make singing in harmony accessible and fun. She leads a plethora of regular groups: Three in her home town of Shrewsbury, one in Machynlleth, and also Oswestry. Go to the Diary page for details. Over the years she has been involved in a wide variety of singing projects. She has set up and run teenage singing groups, worked extensively with singing groups in drug and alcohol rehab, led singing for people with Parkinson’s, worked in schools for the Welsh National Opera community projects, and brought the joy of singing to many different people. She has sung in a variey of ensembles such as The Harrys and Cowin Lush. She regularly works away from home too: running day workshops in harmony singing, or being part of singing festivals around the UK and Europe. One highlight of the year is Sing for Water, which Roxane has been co-directing since 2006. This massed choir performs as part of Thames Festival every September to raise money for Water Aid. She loves her garden, she loves singing with her friends and she also loves getting excited and making things happen!